Market share is usually a worthy goal, but sometimes the markets you haven’t penetrated may be a a major driver in the value of your business. This because the outlook for growth is major factor business buyers are typically looking for in an acquisition.  In a landscape business, for example, expanding your target markets geographically nor demographically may help make the case for growth potential. Imagine you’re a farmer and you’ve been tending to your crops all year. It’s harvest season and finally time to collect the spoils of your labor. You start harvesting your crops only to find out that pesky rodents have been quietly eating away at your fields. You’re devastated as you come to the realization that much of what you have been working so hard to cultivate has already been taken. Feeling like there is not much field left to harvest is what acquirers and investors are trying to avoid as they evaluate buying your business. Metaphorically speaking, acquirers want to know that if they buy your business, there will be plenty of fresh farmland left for them to till. Investors call it your company’s “addressable market” and it is one of the main factors buyers will look at when they evaluate the potential of acquiring your company. Business 101 tells us we should strive for market share so we can control pricing. Market share is a worthy goal if your objective is to maximize your profits. However, if your primary objective is to increase the value of your company, you want to be able to communicate that you have relatively low market share across the entire addressable market. In other words, there is plenty of field left to plough. Demographics involve segmenting a market by objective measures like gender, income, age and education level. Marriott is a hotel chain but they have created a variety of brands to address the various demographic segments they want to serve. Ritz Carlton is a Marriott brand that appeals to well-heeled travellers, but if all you want is a basic room, you could opt for a Courtyard Marriott. It’s the same company, but they have expanded their addressable market by focusing on different demographic segments. Psychographics involve segmenting your market according to the way people think. Toyota produces the Prius, which gets 50 miles per gallon and is a favourite among environmentalists. Toyota also produces the thirsty Tundra pickup truck and, at just 15 miles per gallon, attracts a different psychographic segment. Success in your local market is good but if you want to really boost the value of your company in the eyes of an acquirer, you need to demonstrate that your concept crosses geographic lines. McDonald’s has more than fourteen thousand locations in the United States but they have also demonstrated that the golden arches can draw a crowd in other markets. McDonald’s has nearly three thousand stores in Japan, two thousand in China and more than a thousand locations in each of the European countries of Germany, Canada, France and the United Kingdom. You don’t actually have to become a global giant like Marriott, Toyota or McDonald’s to increase your company’s value but you do need to be able to communicate that your concept could work in other markets and that there is still good land left to plough. SiteOne Landscape Supply has acquired East Haven Landscape Products in Connecticut.